"You know, I'm the only one using this ketchup. Don't you guys need any?" my grandfather said, dipping a piece of pork loin in the little Pyrex dish filled with the familiar tangy red sauce. "No, the rest of us don't need any ketchup," my mother replied. 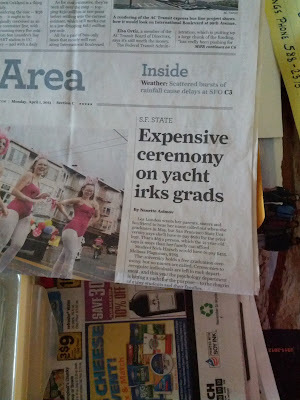 "Maybe this is why they always look at me weird at restaurants when I ask for it and then they don't have any," my grandfather sighed, his brows furrowed. "Well, I put it out for the sausage that I made earlier," my mother explained, referring to the appetizer she put out on the table to keep my grandparents occupied while she finished cooking. "And then you guys ate it all." My mother held her hands out to show about a foot in length. "I made this much sausage and they ate all of it," she said to Afram and me. My grandparents' eyes got large and then they laughed. I was looking over my blog and realizing I haven't written since August of last year. My grandparents really don't say much anymore, and there seems to only be a few stories left that they can remember. I woke up around midnight last night and couldn't fall back to sleep for a couple of hours. It would be easy to blame the fact that we took a red-eye back from our Kauai honeymoon yesterday morning, came back and napped for a few hours until around noon, but it was my mind that was keeping me awake. 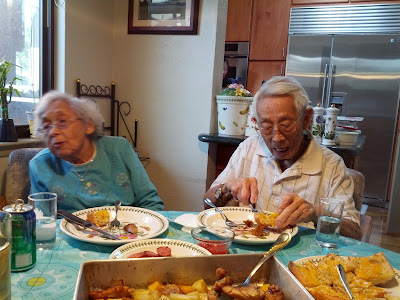 We arrived back on a Tuesday, and my mom hosted our weekly Dementia Dinner, which is now my tongue-in-cheek name for dinners with my grandparents. 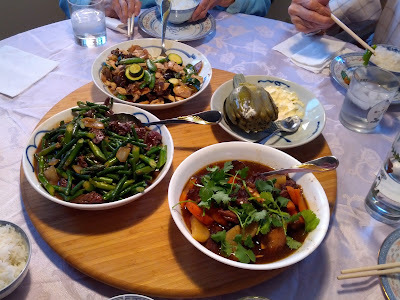 My mother was kind enough to cook Chinese dishes for us, and my grandparents were half an hour late.